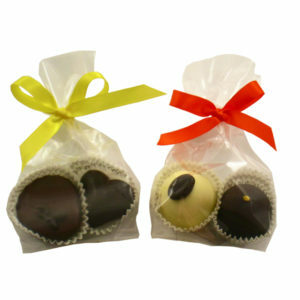 Belgian Chocolate Wedding Favours with a Personal Touch. Since 1993, CREATING WEDDING FAVOURS, Simone Marie knows well that each bride has unique needs. For your engagement party or your BIG day, fully customized favours to fit your style and aligned with your budget, ARE OUR SPECIALTY! 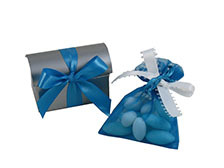 Let us help you and start creating the perfect favour to say “Thank you” to your guests with a few questions: chocolate truffles, pure chocolate, hearts, chocolate squares with picture or confetti? clear pouch or mini box? in white, gold, silver or preferred colour? with satin, raffia or organza ribbon? 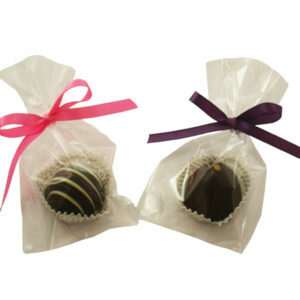 Base price includes chocolates (or confetti) and gift wrapping; mini flower and custom tag are extra. 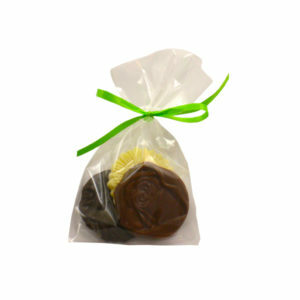 For minimum 60 mini boxes with 2 chocolate truffles or more, custom gift tags are included FREE of CHARGE.